It’s been awhile, but I’m back again and this time with a look at Square Enix’s Play Arts Kai figure of Sora from his appearance in Kingdom Hearts 3D. This is a companion piece to the Riku figure that I looked at a couple of weeks ago, and the two greatly complement each other. Once again I am completely surprised by how amzing this figure looks. It seems as if Sora just jumped out of my Nintendo 3DS and onto my desk. Most of the superb appearance of the figure can be attributed to the awesome paint job and sculpt. The red paint used on this makes the figure really stand out and also goes along with the color tone used in the game. The sculpting of Sora also helps this figure to stand out and the attention to detail on his costume adds another level of quality to this figure. Play Arts Kai figures were made to move in any way. Period. You can practically pose this figure in any way and can pull of some very iconic poses from the game. Sora comes with three keyblades: Kingdom Key, Ultima Weapon, and Sweet Dreams. All of these keyblades are crafted very well and once again the paint apps really makes these shine especially the metallic gold on the Kingdom Key. He also comes with a pair of fists, a pair of open hands, and a pair of hands for holding the keyblades. Overall, I am very pleased with this figure…however there are two things I found that are not so great. 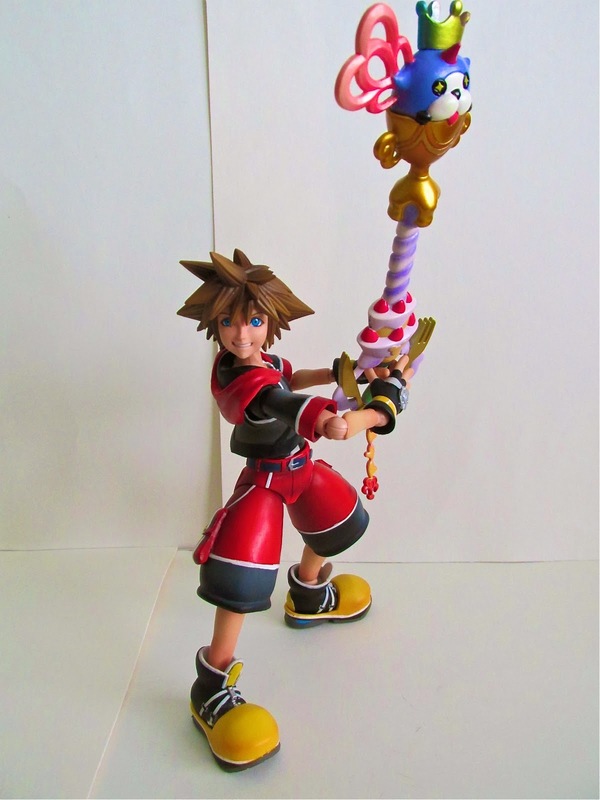 First off, the keyblades can be difficult to get into Sora’s hands. The fingers are not super flexible and can be quite annoying to fit the keyblade in. Secondly, the Sweet Dreams keyblade is much heavier than the other two and many times the arms cannot support its weight. It could be the arms on my figure weren’t put together that well, but I am very positive it has to do with the weight of that keyblade. If you have any love for Kingdom Hearts then this should be a no brainer. 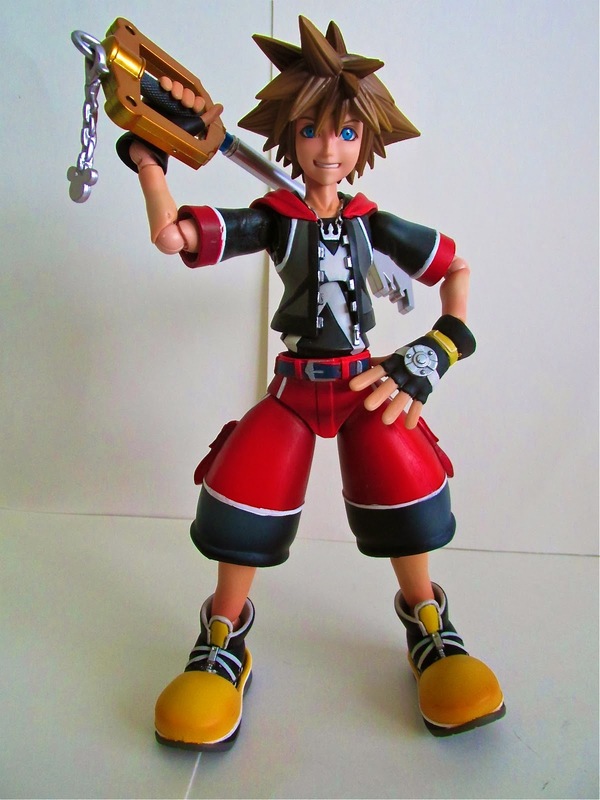 Sora along with Riku make a great addition to your Kingdom Hearts collection and so far are some of the best rendition of these characters…until the Kingdom Hearts 3 merchandise rolls out.